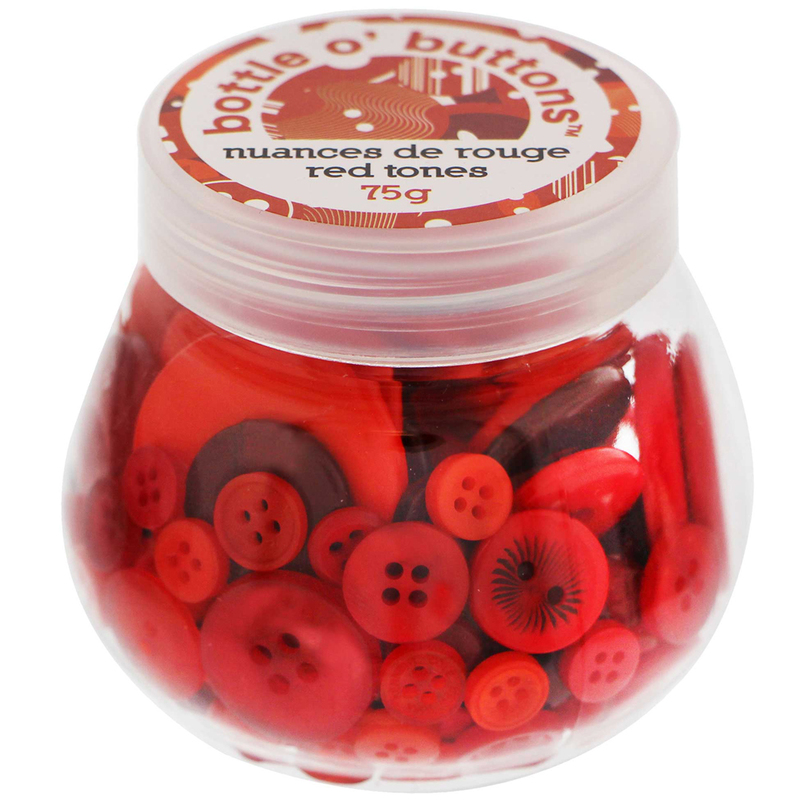 Beautifully dyed, high quality buttons in colour co-ordinated families. Perfect for sewing, crafting, quilting and home decor projects. Available in 12 vivid colour ways. Assorted button sizes in each reusable clear bottle; net weight 75g. Clear bottle helps you easily select colour coordinating buttons for all of your projects.